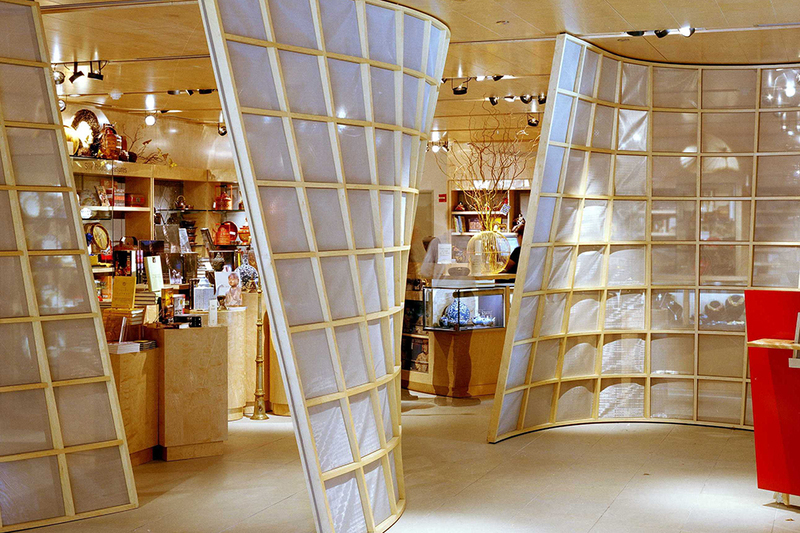 AsiaStore welcomed designer Han Feng for an in store appearance on March 23rd and 24th. 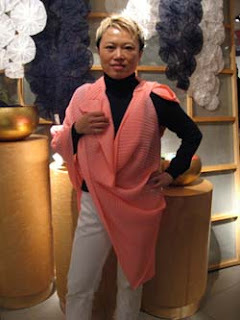 Feng presented her Spring line of accessories including pearl necklaces, butterfly wraps, and gorgeous silk shawls. 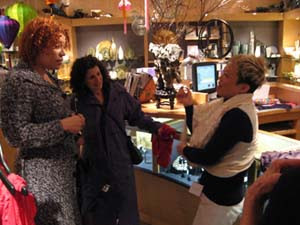 The designer greeted customers (many of whom collect her designs) and demonstrated the many ways to wear her versatile pieces. If you missed the event, Han Feng will be making another appearance in the Fall! Asia Society’s Deanna Lee made a personal appearance on The View this morning where she spoke about the Chinese New Year and showcased products from AsiaStore. Among them was AsiaStore’s Mooncake baby jacket by Forgotten Shanghai. Rosie liked the jacket so much, she wanted to take it home for her daughter! Please visit AsiaStore at Asia Society and Museum to purchase the Mooncake jacket.